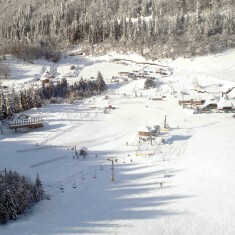 Bjelasica-Komovi Region | Bjelasica-Komovi Region | Ecosign Mountain Resort Planners Ltd. The study area, defined by the Mt. Komovi and Mt. Bjelasica Special Purpose Zone, is located in the mountainous northeastern corner of Montenegro, 70 kilometers from the capital city Podgorica (pop. 170,000) and 80 km. from the Podgorica International Airport. The study area is bordered on its western and northern edge by one of the two major transportation corridors that extend north from Podgorica towards Croatia, Serbia and Kosovo. The consortium made up of Ecosign Mountain Resort Planners Ltd., RZUP (Republički zavod za urbanizam i projektovanje) and Horwath Tourism & Leisure Consulting, have been retained by the Ministry for Economic Development of Montenegro to complete a spatial plan for the Mt. Komovi and Mt. Bjelasica Special Purpose Zone. Ecosign’s Phase I scope of this three phase project includes a Technical Assessment of the entire 86,000-hectare Mt. Komovi and Mt. Bjelasica study area. The objective of this study was to identify and assess all potential sites within the study area for four-season mountain resort development. Based on the findings of the Technical Assessment, detailed design alternatives were developed for areas with the greatest development potential as part of Phase II. 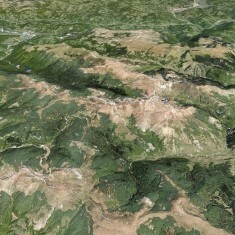 Phase III of Ecosign’s scope within the Spatial Plan for the Mt. Komovi and Mt. Bjelasica Special Purpose Zone includes a detailed Resort Area Master Plan for all areas with resort and mountain tourism development potential.